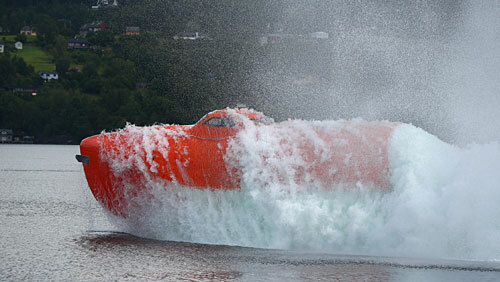 Norsafe, global provider of marine life-saving equipment, will be showing its world-record breaking freefall lifeboat at the Offshore Northern Seas (ONS) show in Stavanger, 29th August to 1st September 2016. “Accidents at sea are all too common so it is important for offshore operators to recognise that having a safe and reliable means of evacuating their workforce is literally a matter of life and death,” says Øystein Schultz Sandberg, Vice President of Sales at Norsafe. “Our lifeboats are built to last and, provided regular maintenance checks are carried out, will perform as intended time and again,” he adds. Norsafe’s quality range of life saving appliances is backed up with comprehensive tiered servicing packages to suit all budgets. For more information about Norsafe’s products and services visit the company’s outdoor stand at ONS, number 55.